Car, improving your standard of living. More Job Choices: Instead of choosing jobs along transit lines, one can choose from the whole area. More job choices usually means you can get a job that pays more. More Shopping Choices: The ability to travel further allows a broader choices of where to shop and lets you choose lower cost stores, lowering your cost of living. More Living Choices: The ability to travel further gives you a broader choices of where to live. This lets you choose a location that has better schools, lower housing costs or other better choices. More Leisure Time Choices: Faster travel means you can travel further to that great restaurant. 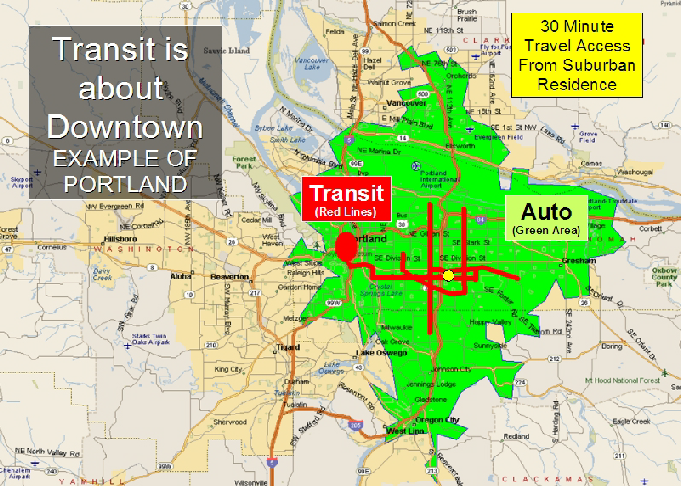 More Convenient: Your car is usually just a few feet from your front door, so you don’t have to walk ¼ mile to the transit stop. Less exposure to crime: You can choose your traveling companions - no drug dealers, no crazy people and no criminals. Providing rapid access to fire and other emergency services and swift escape from natural disasters. Because of these benefits, it is reasonable to call the mass-produced automobile the greatest invention in the 230 years since the American republic was founded. Those who seek to reduce the amount of driving people do by imposing disincentives to the auto or allowing traffic congestion to increase risk killing, or at least limiting, the automotive goose that laid the golden egg of American prosperity.